​44 years ago - Dmitri Pushkin is born in Russia. 26 years ago - 18-year-old Dmitri joins the Russian Army. 22 years ago - 22-year-old Dmitri is married. 20 years ago - 24-year-old Dmitri's daughter is born. 19 years ago - 25-year-old Dmitri's son is born. 17 years ago - 27-year-old Dmitri is an early candidate for the for the newly comissioned Rocket Red Brigade. ​13 years ago - 31-year-old Dmitri becomes Rocket Red #7. 5 years ago - 39-year-old Dmitri joins the Global Guardians. 4 years ago - 40-year-old Dmitri battles Warmaker One. He is badly injured and his suit is destroyed. 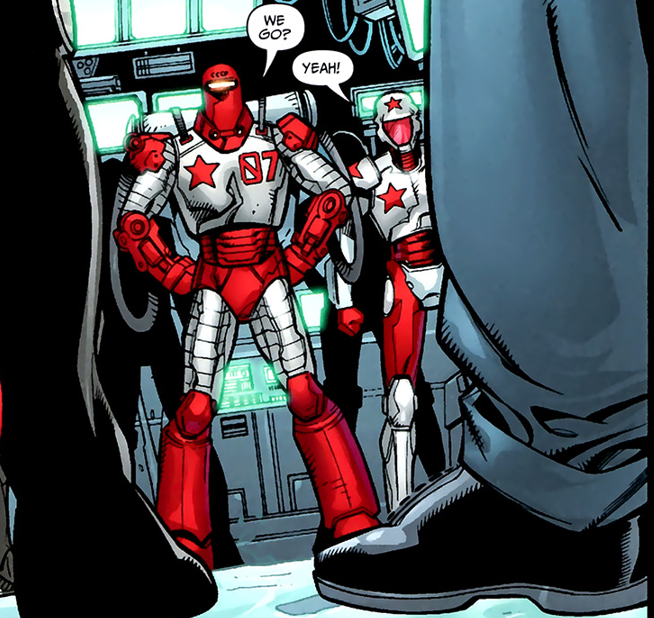 His place in the Global Guardians is taken by Red Star. 2 years ago - 42-year-old Dmitri becomes a tactical director of the Rocket Red Brigade. When most of the members of the Justice League are also starring in their own books it creates a bit of a narrative bottleneck. If the current version of the League isn't one of the huge arcs by a superstar writer, the stories of the League take a backseat to the stories told in the books of the individual characters. The solution tends to be to populate the League with less popular characters, or even completely original ones. During the late 80's, this meant a series of international teams like Justice League Europe. Some of the international characters designed for those teams were actually a lot of fun, despite being sort of limited in utility. 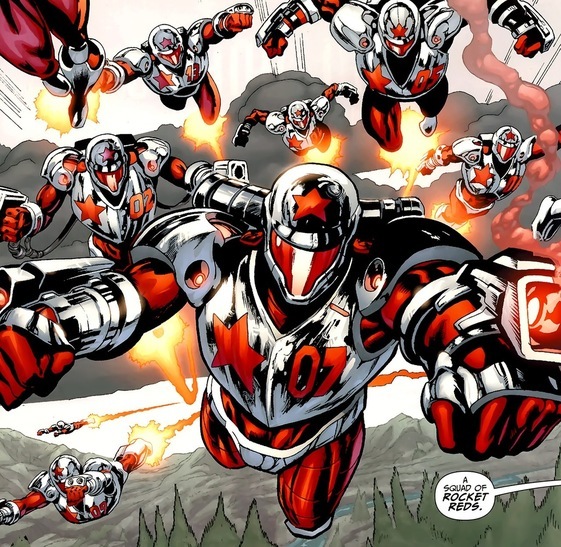 Rocket Red is just a fun, simple idea; it's cool to see how some of the other countries in the DC landscape aproach their Superhuman population, and the idea the Russia had a state-sponsored army of robot-suited patriots just feels inherently correct. While there's been quite a few different Rocket Red's that have interacted with the rest of the DC Universe Dmitri is probably the most universally recognized... and it's basically a no-brainer to take that character and make him part of our Global Guardians.